If Final Fantasy Type-0 HD had existed a decade ago, when I first got into the series and time was not as limited as now, it's quite possible it would've claimed a good 200 hours of my weekends. This is the game I've been waiting for since the uniqueness of Final Fantasy XII, since the salad days of Final Fantasy VIII and since the disappointment that was Final Fantasy XIII. It's the kind of game that, alongside contemporaries like Tales of Xillia 2, gives me hope that JRPGs can once again take pride of place in my favourite genres. It's at once a nostalgic return to form and an innovative exploration. If you're after the short version before I knuckle down to details, here it is: GO PLAY THIS RIGHT NOW. The story is equal parts straightforward and fairly thin at first blush. In the world of Orience, where nations are built around crystals that grant magic powers, war has broken out. The Militesi Empire has gone on the offensive and found a way to jam the crystals' power-gifting abilities. This makes Militesi's enemies easy pickings for their army of airships and Matrix-style mechas. military students who proceed to both repel the Militesi invasion and begin a campaign that will liberate Rubrum's allies. The students are Class Zero, the elite apex of Rubrum's university with a range of weapons and personalities more varied than the ice-cream combinations at Cold Rock. Thus begins an epic journey to retake the Rubrum's land of Akademeia (I see what you did there) and, hopefully, the entirety of Orience from the oppressive rule of the Militesi Empire. If this is sounding vaguely familiar to players of Final Fantasy VIII as a starting concept, it should. Class Zero are basically SeeD from VIII but taking the entire focus of the game, rather than in VIII where you started as SeeD before becoming freelance badasses. Rubrum's University has something of a Balamb Garden by way of USYD feel, and the music evokes the light and fluffy tones of the former. Several of the playable characters evoke designs from that and other FF games but are distinguished enough to all be discernible. Hell, there are even guns that look a little sword-ish in the opening cinematic, just for bonus points. But that's not to say Type-0 is entirely derivative. It definitely forges its own identity; for one, it is dark. This is the kind of dark George R.R. Martin might nod with approval at. War is the central theme of the narrative, and as such it's grimmer than any previous FF game I can recall. From the moment a chocobo gets slaughtered in the opening cinematic it's pretty clear we ain't in Kansas anymore, Toto. The violence and horrors of wartime are constantly discussed and visualised, compounded by the idea that the soldiers of Rubrum are programmed to forget about their dead comrades after each battle. This leads to the concept of Knowing Tags, retrieved from deceased soldiers so that even if their comrades forget them, the graveyard will not. Like I said, Type-0 is pretty damn dark. However, it's not all Game of Thrones-esque doom and gloom. Characters have some witty banters during cutscenes with each other, and there are some interesting relationship dynamics on display. The colour scheme also eschews some of the darker tone, with the party members' signature red capes and flaring hairstyles quite distinguishing against the darker-clad soldiers they fight. Some of the characters are clearly designed for comic relief, so not everyone is as depressing as characters like Ace, the blonde guy on the front of the box who resembles the poutiest of pouty FF protagonists. 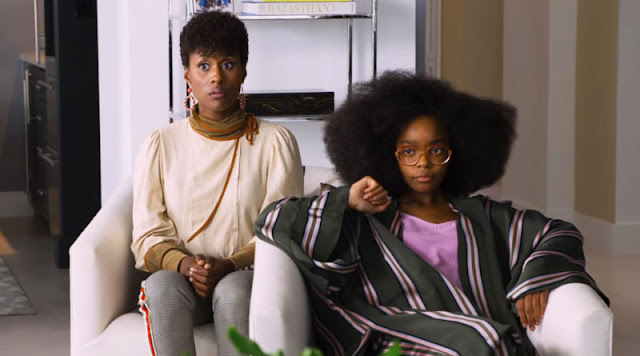 If there's one big problem I have with the narrative, it's that things are not explained to a degree I'm satisfied with. In medias res is fine, and Final Fantasy has a proud tradition of throwing players directly into the action without a lot of context (and, in cases like Final Fantasy VII, can manage to pull it off well). 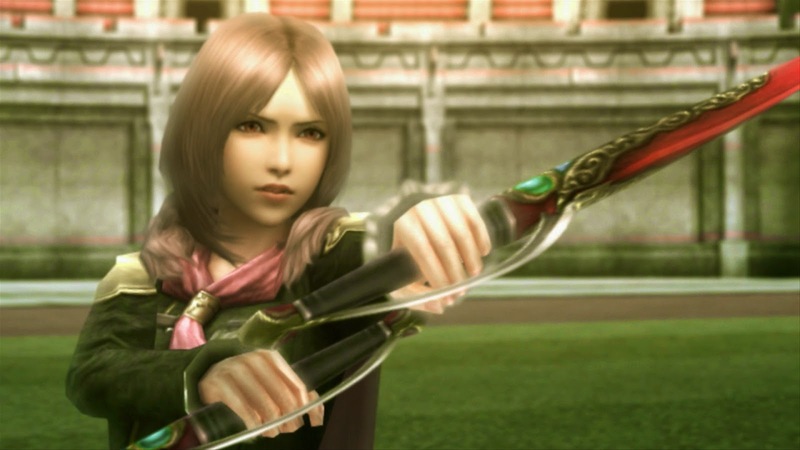 Type-0 does have a lengthy explanation of events leading to the war with Militesi, but in terms of the character relationships and who important figures, like Class Zero's "mother", are, and why they are important, we're not given much. 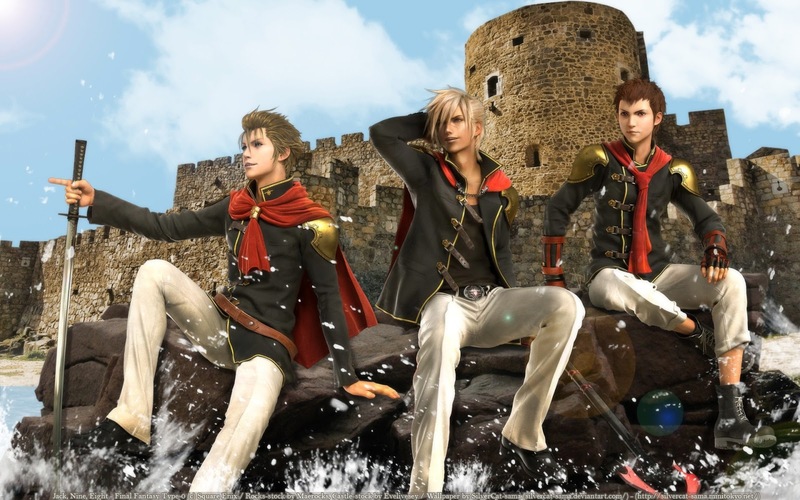 There is opportunity as Type-0 progresses to explore backstory scenes with characters, and the compendious log in the pause menu that updates periodically does offer a lot of material. Still, I feel like we needed a few more explicit lines of connection drawn early on. I'm fine with someone at a party telling me about what they're up to tomorrow, but I'd like to know their name first. I'm also not sold on the length of some cutscenes. Sometimes there are long scenes outlining events, either obliquely or overly-explicitly, and I wonder if maybe Hideo Kojima was a consultant at some point in Type-0's development. Mechanics-wise, Type-0 may have the fastest combat I've ever seen in a JRPG since the smack-and-run tactics of Tales of Xillia 2. It evokes the walkabout aspect that made Final Fantasy XII's gameplay such a breath of fresh, innovative air. You freely move, without turns, around the battlefield and beat the crap out of enemy soldiers. Battles are usually over within thirty seconds, keeping up a brisk pace that never lags due to deliberation over who's on potion duty while the ATB bar charges as in previous games. Controls are quite streamlined and helpfully displayed on-screen for each combat, and after a few goes you slip into a great smack-magic-loot rhythm that's quite enjoyable. Connected to this is a time management system not unlike the one in XCOM: Enemy Unknown. There are certain actions taken between missions that eat up in-game time - talking to characters for backstory takes two hours, going out into the wild for level grinding takes six hours, etc - and create a variety of ways your campaign can proceed. Is it worth eschewing getting to know your fellow students in order to level up, or is it better to take a side-contract instead of talking shop with the weapons guy? It's a neat little system that both ensures a lot of choice and makes it more likely that each game run - operating on a New Game Plus system - never plays the same twice. 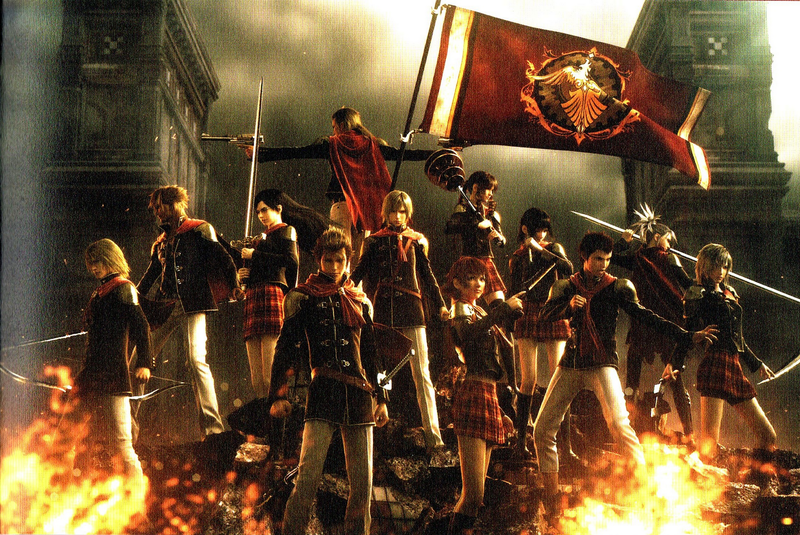 Type-0 also introduces an intriguing quasi-RTS mode, leading troops from Rubrum on missions to retake captured ally towns in the overworld. It takes a little getting used to, but once you're there it's an interesting little concept. A piece of advice, though; the first time you engage in this mode, don't attack enemy soldiers on the overworld directly. Otherwise, like me, you'll be shot and smeared across the landscape like a dinosaur made of butter. There's a bit of a problem with both the visuals and the camera. The graphics are a bit more evocative of the older styles from games like Final Fantasy X, with flapping mouths and slightly blocky building textures. This isn't a deal-breaker, and since the combat and story are the main focuses it's not a huge issue, but it does at times look like some of the PS Vita graphics were taken verbatim from the original when making this port. The camera, however, is a larger problem; it swings super-fast during and after battles, so you may want to have a little motion-sickness medication on hand for the blur it makes. As great as the free-flowing combat definitely is, the effect is undermined somewhat when the camera swerves and the background resembles Luna Park from a fast-moving merry-go-round. But these are issues that only take slight chips from an otherwise solid core of a game. 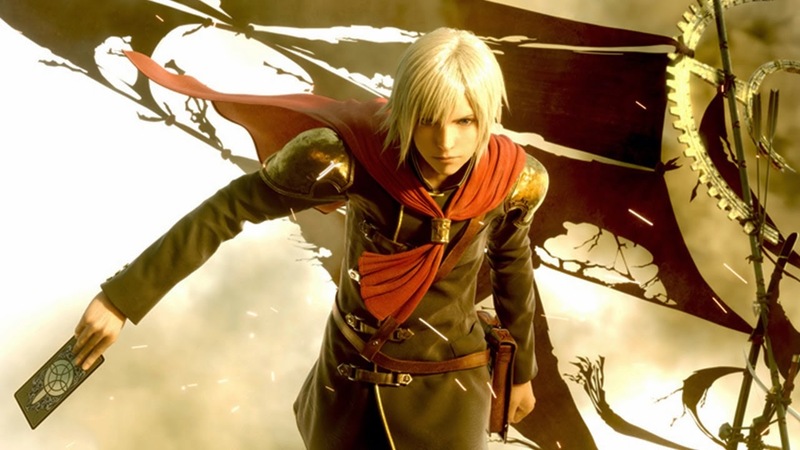 If, like me, you were disappointed by Final Fantasy XIII's restrictive gameplay, lack of exposition and formulaic combat, and prefer the older schools of Final Fantasy kickassitude, Type-0 will definitely be the game you've been waiting for. FINAL FANTASY: TYPE-0 HD is now available on Xbox One and Playstation 4!